One day after police swept San Francisco in the first-of-its-kind action to target Muni riders doing bad, an employee of the transit system shows why the sting should have started in the ticket booths. Police arrested a ticket agent Thursday who allegedly punched a girl at the Embarcadero station. Two sisters were getting their tickets, one for the reduced-age price. When the agent asked for the young woman's identification and she didn't have it, all hell broke loose. One of the girls threw a soda can at the agent. Then, according to a witness, both girls went into the booth and the ticket agent let loose on them, "fighting as if they were grown men" KGO TV reported. The agent could face felony assault charges. 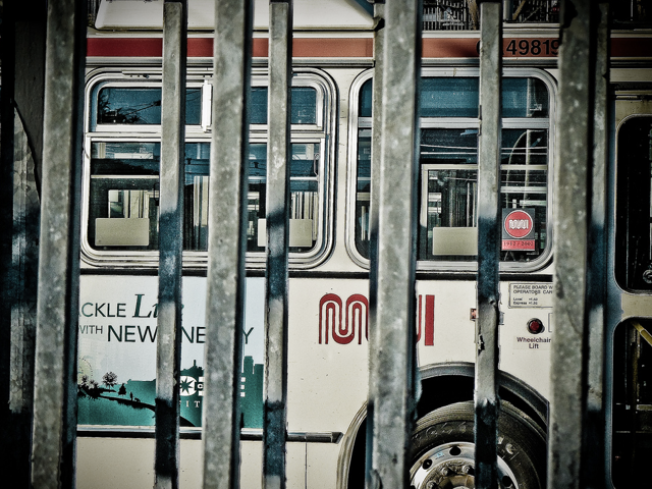 It could be said that passengers are expected to get into it over seats on Muni and street violence can easily make its way onto the City's buses. But at the ticket booth? Seems like the ones who punch tickets supposed to just that -- punch the TICKET. Maybe it's just another day on Muni.